Create nice time-lapse animations from pictures of the sun or the moon. Is there a better alternative to Astro Timelapse? Is Astro Timelapse really the best app in Image Editing category? Will Astro Timelapse work good on macOS 10.13.4? 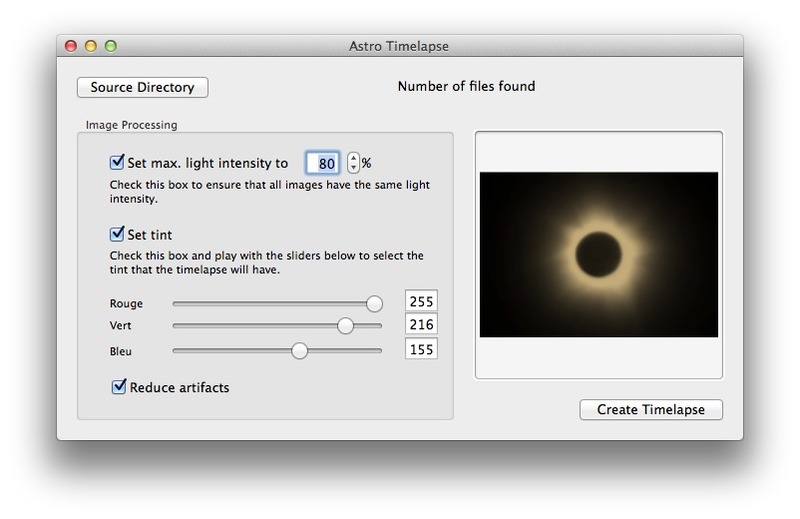 Astro Timelapse is a one-click image processing app for creating time-lapse animations. Have you ever taken countless pictures of a breathtaking solar eclipse with your less-than-perfect camera? Did you wind up with hundreds of images where the object you wish to photograph moves between every image, light levels change and colors don't really match? Did you give up processing the images because it would take you days? Astro Timelapse needs a review. Be the first to review this app and get the discussion started! Astro Timelapse needs a rating. Be the first to rate this app and get the discussion started!